With only being released on September 2016, the Lenovo A1010 gained popularity and became one of the most known entry level smartphones. Lenovo company always tries to excite its customers by producing quality device at a low cost. The Lenovo A1010 is one of the devices that not only that it is available at a cheap price, but a device that is dedicated to perform. The gadget weighs a mere 146 grams. Having such a lightweight device always has a nice feeling. There is no bulkiness in carrying around the smartphone. It has a sleek appearance thanks to the 9.9 mm. Generally it is a beautiful device made of of a roughened plastic material to enhance a firm grip when holding the device. An improvement from the Lenovo A1000 is that the screen of Lenovo A1010 is 4.5 inches unlike 4.0 inches. This display is a TFT LCD type and the screen resolution is also increased with pixels of 720 x 1280. Such a resolution is just perfects for the display and the color accuracy is always fine. Selfie lovers has something to praise the camera department. Lenovo A1010 got a 2 MP camera that even allows recording of videos and can also be used for video calling. The 5 MP rear camera is equipped with a LED flash that brightens the entire background. It is loaded with many features that will help in perfecting your photography. Videos can be recorded at a speed of 30 FPS. Having a 8 GB storage nowadays is something that is not pleasing. Lenovo A1010 comes with this storage those some space is already consumed by the pre-loaded apps. To perfect this they set a dedicated microSD card slot that takes a card limited to 32 GB. This capacity may not be very large but its worth having it. 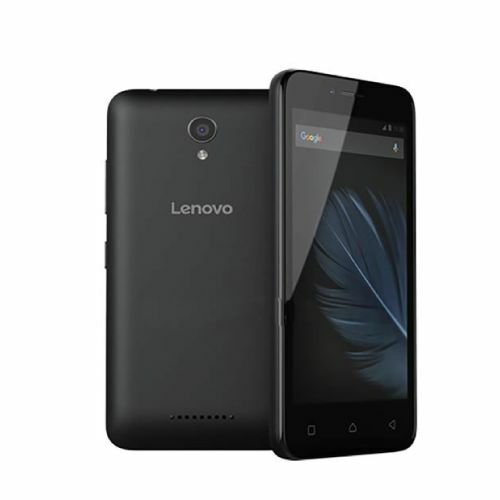 The Lenovo A1010 is run by Android 5.1 Lollipop that supports many apps and easy to use. On top of the OS is a Cortex-A7 processor that is cloaked at 1.3 GHz. The number of processors are 4. This helps in making sure there is a fluidity and smooth operation of the device. Multitasking is also handled well. A Mali 400-MP2 helps to handle the graphics and gaming on this phone is not a problem. Like many Lenovo entry devices, the Lenovo A1010 got a 2000 Li-Po battery. The battery is removable and can be replaced by opening the back panel. It powers the device on a 8 hrs talk-time duration. Moderate usage can give you a longer stand-by time.